Is your child struggling to read or do you simply want to see your child improve? If so, keep reading to find out a few tips and techniques you can use to help your child become a better reader. Throughout his schooling, your child will be required to read not only for English language arts classes, but also for most other subjects. For this reason, it's often important to figure out what kind of reader your child is early on. Some children don't read at all and actively avoid it. Others read only when it's required of them to succeed at school. Finally, there are kids who read both for school and pleasure. Reading for pleasure can be an excellent way for your child to increase her comprehension skills. Set an example by reading yourself at the same time every day. Make it a fun household activity that everyone takes part in. You can buy books or check them out from your local library regularly to encourage your child to read on her own. There are also many book lists available from libraries and online that are based on age or reading level. Allow your child to choose her own books. This will often make your child feel empowered and self-motivated to learn. 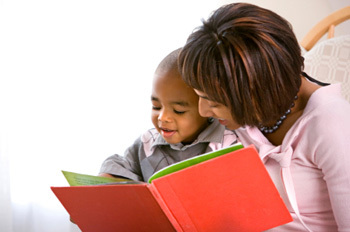 There are many ways you can engage your child while improving his reading ability. Whether it's for school or fun, read whatever your child is reading and discuss it with him. Ask questions about character motivation, writing style and anything that pops out in the narrative. Ask your child to make predictions about what might happen next. There are many websites that offer free activities and online games that your child may enjoy. These activities and games are designed to help him improve his reading abilities. You can also create your own worksheets and flash cards for your child to complete. It may not always be convenient for you to take the time to sit down daily and read to or with your child. While personal, one-on-one reading time is certainly an ideal means of helping kids read, it's by no means the only option. Many schools and libraries offer summer reading or after-school programs designed to help children improve their reading skills. If your child needs further assistance with her reading skills, you might consider hiring a tutor.